Are you stuck learning Rock Drums? 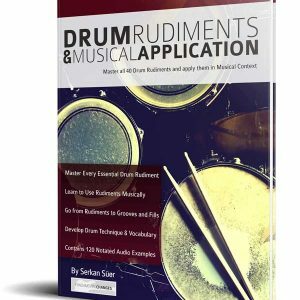 Do you need an organised way to tackle the essential techniques and vocabulary of Rock Drums? 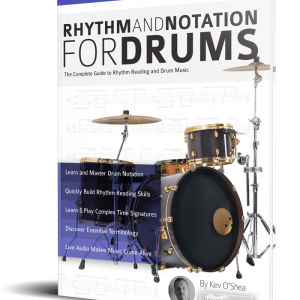 Do you need to confidently learn rudiments and turn them into grooving rock drum fills? Do you want to learn about straight, shuffle, triplet and 1/16th note drum beats? 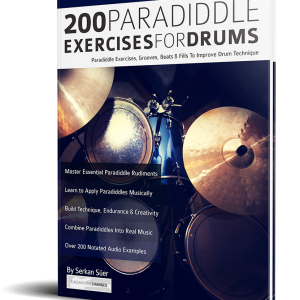 Do you need hundreds of drum phrases, fills, and rudiments to practice? Are you struggling to Master the Basics of Rock Drumming? Rock Drumming for Beginners is the perfect way to master rock drumming. 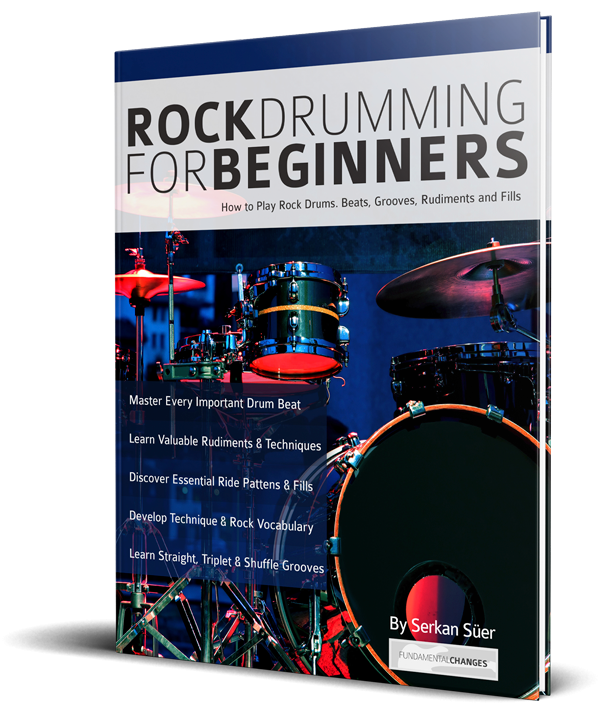 Starting with 1/8th note ride patterns, snare and bass drum variations, and essential rudiments, Rock Drumming for Beginners guides you on an exciting journey through every stage of playing rock drums. Early on you will learn about backbeats, hi-hat patterns, double-stroke rolls, paradiddles, groove variations and 1/8th note fills. These are the building blocks of every common rhythm in rock drums and they are presented in an easily accessible and logical progression. 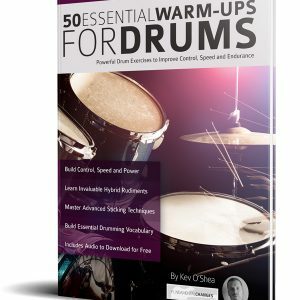 Next, you will discover 1/16th note drum rudiments, the ‘alternate hands technique’, ghost notes, and flams and learn to combine them into exciting, creative patterns of your own. Throughout, the emphasis is on creativity and building solid timing. In the next section, the basics of triplet and shuffle grooves with both 1/8th and 1/16th notes are covered and plenty of example patterns, variations and fills are taught. Also included is a detailed look at the root of all rock drumming: The Blues. As your skills develop, you will begin to tackle dynamics, double bass drum technique and even get to grips with odd times, like 5/4 and 7/4. Each technique and approach is combined into musical examples that give real insight into the approach of the best rock drummers in the world and put you on the way to developing your own unique style. Hundreds of drum fills, ride patterns, creative ideas and rudiments. Bonus! – Learn the basics of counting and playing odd times confidently. Reading music from paper is one thing, but once you hear how to apply it, it becomes music. 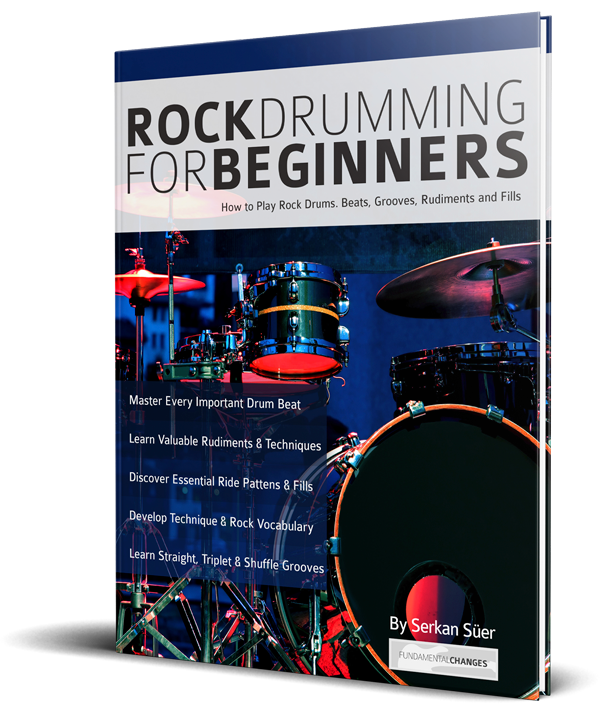 Rock Drumming for Beginners contains 214 supporting audio examples to help you get inside the music, and quickly apply every new concept in a musical way. Buy it Now and supercharge your Rock Drumming Skills.